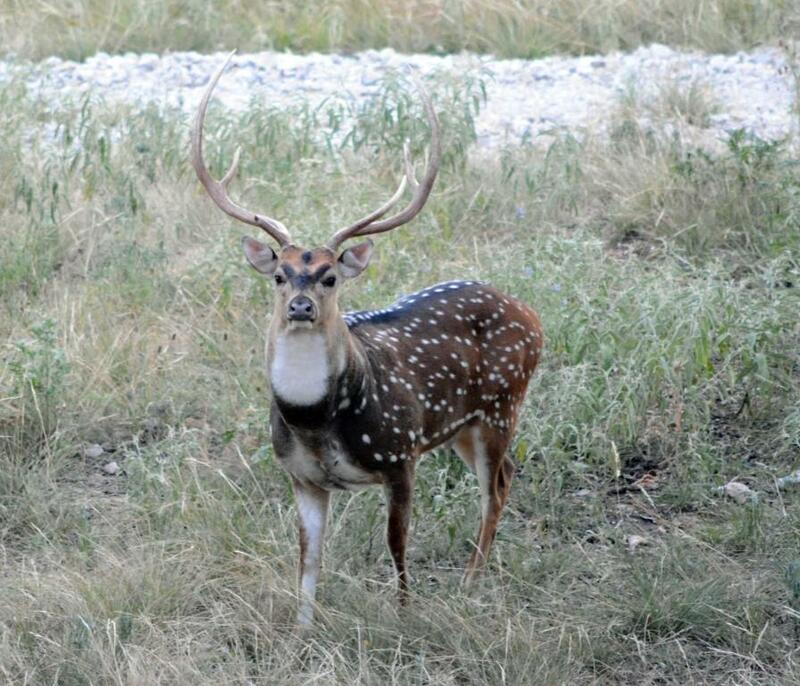 Home » Exotic » Axis Deer » Bow Hunting for Axis Deer: Now That is a Challenge! Bow Hunting for Axis Deer: Now That is a Challenge! To say that hunting in Texas is big would be an understatement. To say that Bowhunters in Texas is likened to a cult following (in the good sense) would be spot on. And to say that you are trying to hunt one of the most elusive, 'exotic' species in the state of Texas with one of the most primitive methods like a bow and arrow would be considered 'risky' at best. Well……that's exactly what we're going to do. I can remember as a boy the first time I pulled the drawstring back on my compound bow I got for Christmas and accidentally sent an arrow flying through the kitchen window at our home in Texas. My mother must have wondered if the Christmas present she gave me was such a good idea. After I learned how to control my arrows a little better it wasn't long until I strapped my quiver around my shoulder and jumped on my pony pretending I was an Indian (Native American) headed to battle. After bowhunting for several years now with significantly more advanced archery equipment, I have a greater respect for what the Native Americans were able to do with so much less. Ask any bowhunter who has made the conversion from rifle hunting to archery and you will not find many that will even attempt an animal with a rifle anymore. There are numerous reasons for these new accomplished feelings you have as a bowhunter. Most hunters will say that feeling you get from harvesting an animal with a 'stick n string' (bow and arrow) is unlike any other feeling. The fact that you have to get so close to your intended target. Much preparation goes into harvesting an animal such as the 'Axis' buck since most hunters prepare months even years in advance to increase their odds of harvesting the 'Big Boy'. The adrenaline rush you get sometimes referred to as 'Buck Fever' is what every archery hunter yearns for. So how do we successfully go about bowhunting the Texas Axis buck? 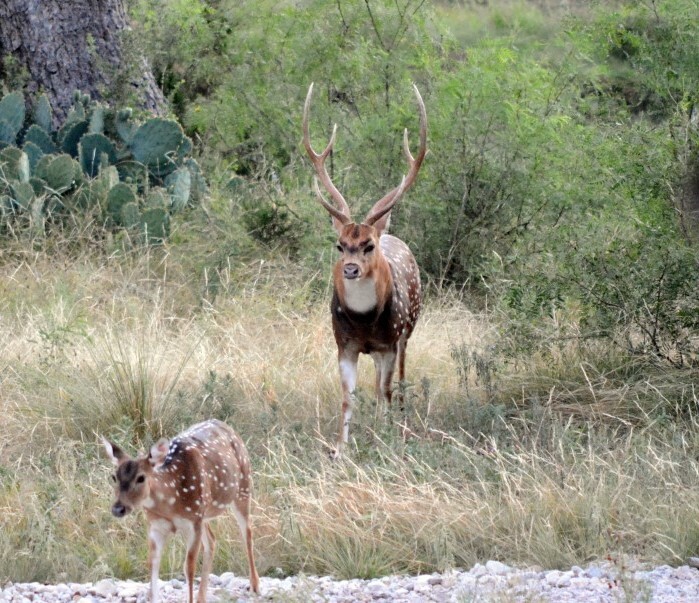 Why is this animal considered one of the most difficult exotic species in Texas to kill? Is it possible to get one of these 'Big Boys' on the ground with a bow and arrow? Yes it is…….and here's how were gonna do it. First things first. Once we've made the decision to hunt an Axis buck with our bow, lets make sure we are masters of our weaponry. Make sure you are using/shooting the perfect archery equipment for you. 1) Get measured for your draw length and buy good equipment. Nothing is more painful to watch than someone trying to take down one of these 'Monster' exotics or any animal for that matter with sub-adequate, hand me down equipment. The animal deserves your best effort so make the effort to do right by them. 2) Once you've established your equipment……practice, practice, practice. Practice your yardages so that when the moment presents itself and that big Axis buck is at 28 yards instead of the 20 yards you've been shooting at in your back yard you will be able to pull off the shot. 3) Practice shooting while sitting, standing, elevated, etc…..because you never know what the situation will be. With so many place to hunt Axis deer in Texas its important to do the research there as well. Many ranches will only allow rifle hunting which in your case will not work. Many ranches will offer both rifle and bowhunting so make sure to ask how the ranch is set up for bowhunters. This is important because you may get to the place you're going to hunt only to find out that there idea of hosting bowhunters is to position you next to a bush in hopes you will see an animal. Any reputable hunting ranch will have a variety of hunting scenarios set up so you can maximize your time while hunting there. Treestand blinds, platform blinds, pop-up ground blinds are just a few that can be effective while hunting Axis deer in Texas. All of these should be set up around feeding areas, routine watering holes, and common travel routes throughout the ranch. Bowhunting for trophy Axis bucks in Texas is an absolute challenge. Many variable come into play when hunting these 'monsters'. If you are prepared, practice your archery skills, put in the effort and commit yourself to fulfilling your goal then you can turn it in to reality. There is no better feeling in the world than the few seconds that lead up to moment just before you release your arrow into the animal. Its up to you…..How bad do you want it?